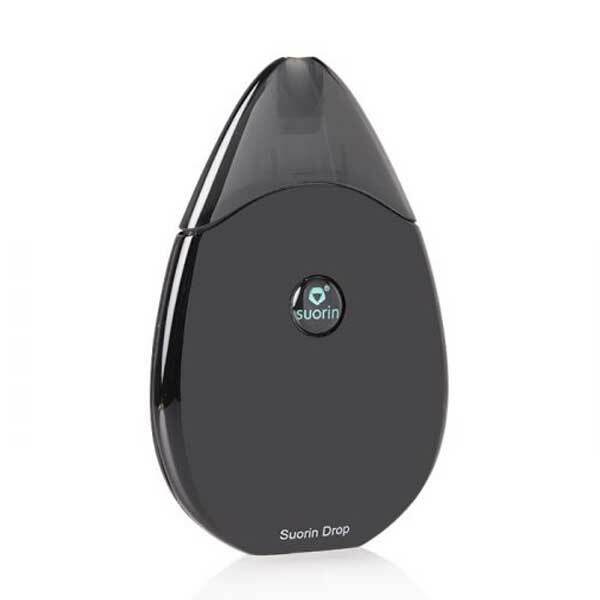 Suorin Drop starter kit has a unique water drop design that makes it outstanding from the rest. The kit is made of zinc alloy exterior material that is both compact and lightweight to be taken with you anywhere you go. This device is so easy to use unlike its counterparts. When held in the hand, it feels smooth and comfortable. The starter kit comes with a 310mAh battery and an indicator with LED light that shows the level of the battery life. It comes with a 2ml pot that is filled with Nicotine Salts E-liquids or regular free-based e-liquids. This is best used to provide best flavors and clouds. The design of this Suorin Drop Kit resembles a water drop. It is made so simple and portable and comfortable to touch thanks to the zinc alloy material used in the construction. Easy vaping is aided by the air switch on the device. It features a 310mAh battery and has a 2ml replaceable cartridge. This small gadget can be used when traveling or in your outdoor activities. On the exterior part of this device is an indicator of the battery life that enables you to know how much power it uses and for how long till it requires charge. The kit has a Micro USB charging port for convenient charging on the move. I love everything about this ultra portable vaping product. Design and color theme are amazing. The design looks simplistic but is very soothing to the eyes and beautiful. Great product. Shipping was fast. It is a discreet and stealthy looking product at a very reasonable price. Its performance is wonderful. Makes awesome flavor. I take this vape kit everywhere with myself. It always gives its optimum performance. A wonderful device. This is a very simple to use vape kit for a new vaper. It has awesome design and requires very low maintenance. Although, it is a highly compact and pocket size device, but its performance is amazing. Vapor is very flavorful. I have been using this vape for almost a month now. It is working without any problem. I love it. It is perfect. Makes superb flavor and vapor. Quality is also great. It is an awesome kit. I love its shape. Quality is also great.